What watering schedule is best for a cool season lawn? 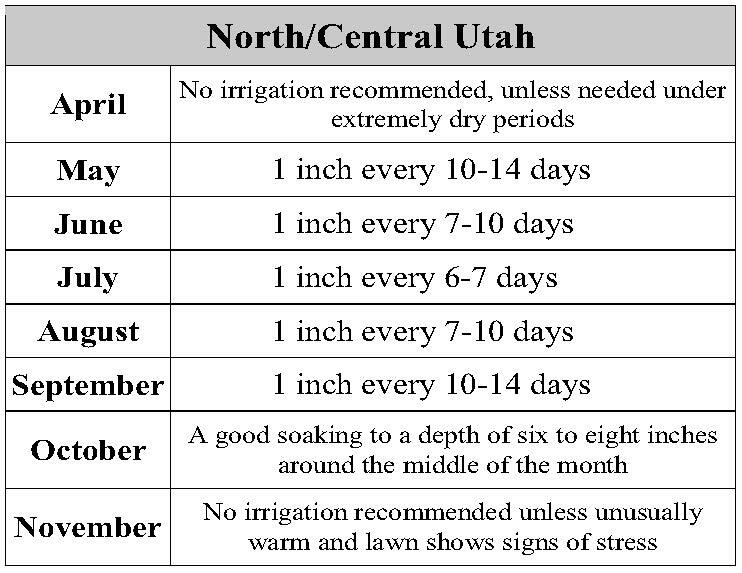 Here is the recommended watering schedule for a cool season lawn. This schedule recommends applying the water in a single application if possible. 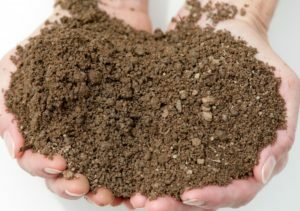 Sandy loam soil is the best soil type to accomplish this, but follow the adjustments below if you don’t have the optimum soil type. 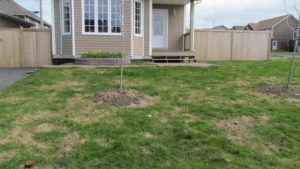 Ultimately it depends on what type of soil your lawn is drawing water from. 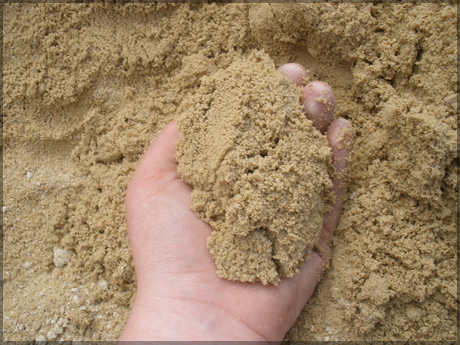 While the best soil for your lawn is sandy loam, we know that not every lawn will be exactly like this. So we have recommendations for all three basic soil types! Sandy: Because of the structure of sandy soil, watering a full inch in one sprinkler cycle won’t be effective because the water filters through the soil much quicker than in other soils which means the water falls deeper than the roots before the lawn is able to absorb it. Therefore we recommend watering every other day and applying the same amount of water that is on the schedule. For example, during the heat of the Summer (July) apply 1/3″ every other day. This still applies a full inch every 6 or 7 days, but allows the grass to soak up the moisture before it drops below the root level. 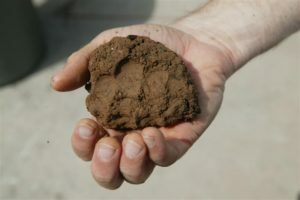 Sandy Loam: Sandy Loam is the ideal soil type and you should be able to follow the watering schedule directly. DO NOT SET YOUR CONTROLLER AND FORGET IT! You need to adjust your watering schedule to accommodate for differing temperatures and natural precipitation! Clay: Clay Soil compacts easily, restricting roots and preventing air, water, and nutrients from getting down to root level. 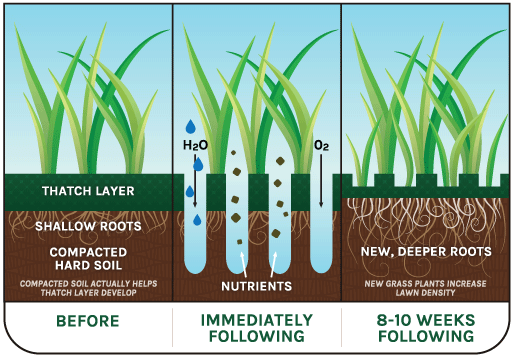 Make sure that you are aerating a lawn growing on a clay soil 1-2 times in a year. Clay soil can prevent water from forming a deep water table and can cause run off. There is an easy solution to this, cut your watering time in half and cycle your system twice in one day. This will allow an air pocket to form between cycles and will push down the moisture as it goes into the lawn, helping the water from running off the lawn. 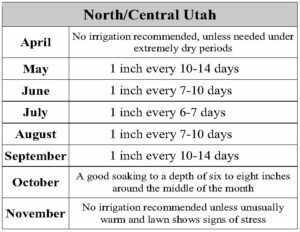 If you start following the watering schedule at the beginning of the season you should be able to cut your watering to around 24″ in a year. If you start training your lawn during higher temperatures you will need to take time to train the lawn to thrive on a differing water schedule. To do this start adding an extra day between your watering. Once the lawn has developed a deeper root system you will be able to cut back the amount of water you apply each week by filling up the water table with each watering cycle. Aeration of lawns on all types of soil is recommended at least once per year. 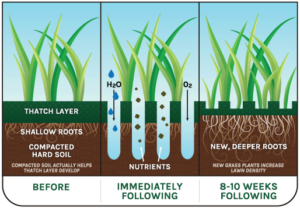 Aeration combats compaction of the soil and allows Air, Water and Nutrients easier access to the roots. And leave the plugs on the lawn so that they can break down and return organic material to the soil, and then you will need less fertilizer to keep your lawn healthy. For more maintenance recommendations for your lawn and ideas on how to Water-Wise It™ download our Lawn Care Guide at www.chanshare.com or email questions to larry@chanshare.com. 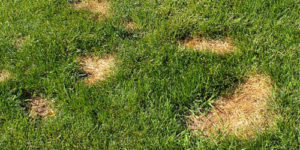 What’s the best way to fix a brown spots in your lawn? Bugs: There are really only two types of bugs that cause issues with cool season lawns. Billbugs and Cutworms. With both of these insects the larvae do most of the damage. Cutworms leave their damage on both established, and new sods leaving small patches of brown grass usually 1-2 inches wide. The parent cutworms lay their eggs in late summer and the larvae hatch a couple months after, spending the winter in clumps of grass before feeding in the spring and maturing into moths in the early summer. Billbugs on the other hand lay their eggs in the early spring, soon after the grubs are hatched and they move to the crowns and roots of the turf where they eat at the turfgrass and produce a small circular pattern of yellow-brown grass. If the brown spot creeps and you can pull up the blades of brown grass easily revealing bare dirt apply a season long grub control. It is advisable to do this sometime between Mid-April and the end of May. Pets: It’s a fact of life that animals pee, and if they do it in one specific spot over a period of time the acidity can wither away the grass. Luckily the solution is simple. Simply add one tablespoon of vinegar per gallon of drinking water to decrease the acidity of the urine. Snow Mold: Snow cold is common in cold weather climates, especially where prolonged snow coverage is present. Snow mold will generally not kill bluegrass but some common-sense practices can be observed to minimize snow mold effects, like gradually lowering the blade of your lawn mower in the late fall, preparing your grass for winter. Another tactic is simply to fertilize your lawn in October to insure that the plants will be healthy throughout the winter. The final tactic is to lift the lawn blades by hand raking or by aerating in the spring as the snow melts off of the lawn. For more information on how to care for your cool season lawn or on how to Water-Wise It™ refer to the Chanshare lawn Care Guide at www.chanshare.com or email pictures of the trouble spots to larry@chanshare.com. IT DOESN’T TAKE THAT MUCH TO BE GREEN! How much water does it take to keep a healthy lawn green in Utah? Around 24″! Watch for a patch that turns blue/gray earlier than the rest. Use this as a baseline to know when to run a sprinkler cycle. 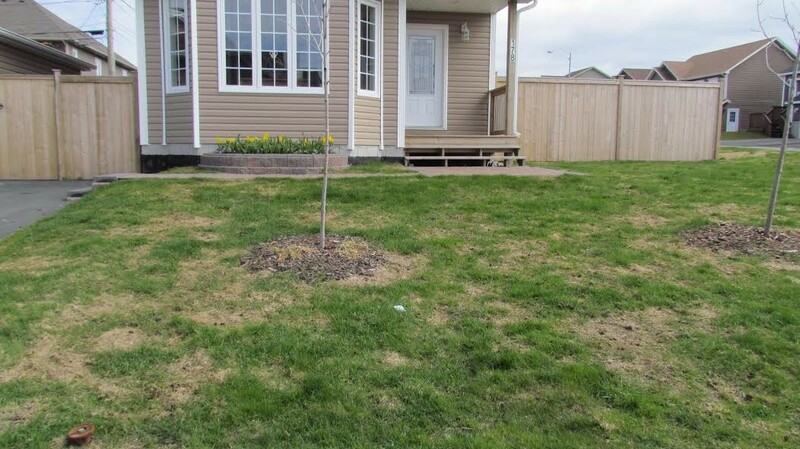 If you can see your footprints 60 seconds after walking on your lawn the grass blades are probably lacking water and don’t have the strength to bounce back from pressure. Apply up to 1″ of water. Stick a screwdriver into the lawn. If it is easy to push it into the lawn at least 3 inches it isn’t time to water yet. An average bluegrass lawn can be maintained, verdant green, throughout the year with less than 24” of water! The trick is to water deeply and infrequently. Wait until late in the Spring to water your lawn. During an average year if you applied fertilizer late in the fall you shouldn’t need to water until Mid to Late May. And if you received a lot of precipitation during the winter you may not need to water until June. Waiting until late in the spring to start watering and mowing your lawn will give it a chance to push the roots deeper in the soil and pull from a larger water table during the hot summer months. Applying 1″ every 7-10 days is much better than applying .25″ every 2-3 days. Follow this watering guide to decrease the amount of water you are applying on your lawn. And check out this video to learn some more great water conservation tips! If you have any questions about how to properly water your lawn send us a message on our website or call Chanshare Farms at 866-SOD-EASY (763-3279). Now, maintain your lawn properly! Go and WATER-WISE IT™!